BIRTHRIGHT, INT’L. : Support for teens and women with unplanned pregnancies. Larger (36”x 40” up to 36”x 50”)baby quilts and blankets. Rag quilts are fine, but not knit or crocheted blankets. HANDS of HOPE: Blankets or quilts for foster care children in Hamilton Co. No restriction on type or size. Greatest need for babies, toddlers, and preschool age. Some need for older children. RIVERVIEW HOSPITAL: “Touch of Love” and Noblesville County Hospital Give 1200 blankets to newborns each year. Prefer size to be between 30” and 36” square. Double flannel is great. 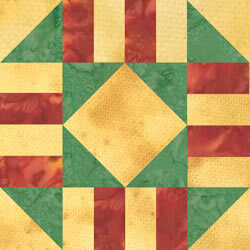 Quilts are fine, too. If tied, use embroidery floss not yarn. Can also use burp cloths and new 3 to 6 month sleepers for layettes. Fleece blankets for older babies and toddlers. Prefer 36” to 45” square. Can have self fabric fringed edges. Hole punched and crocheted edges are fine. Nothing with skinny fringe or large holes. They also have needs for older children. Blankets given through the hospital, schools and to homeless families. Fleece blankets for toddlers and preschoolers. Prefer 45” square or 45” by 54”. Can also use larger rag quilts and fleece blankets for older children.